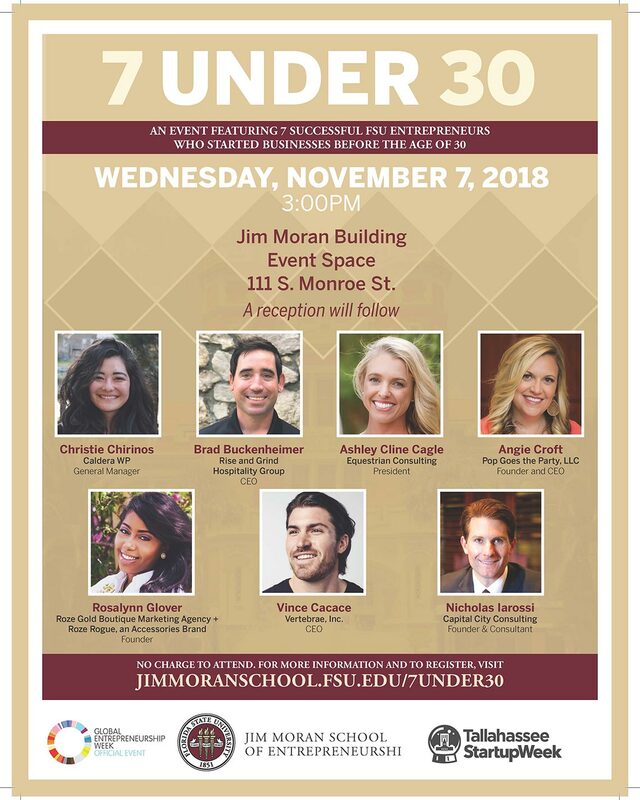 The annual 7 UNDER 30 Speaker Series features seven successful FSU alumni entrepreneurs who started businesses before the age of 30. The annual event takes place during Tallahassee Startup Week. Speakers talk about their experiences in starting and growing a business, and participate in a Q&A session. The event is open to students and the public. Watch the video from the 2018 7 Under 30 event! 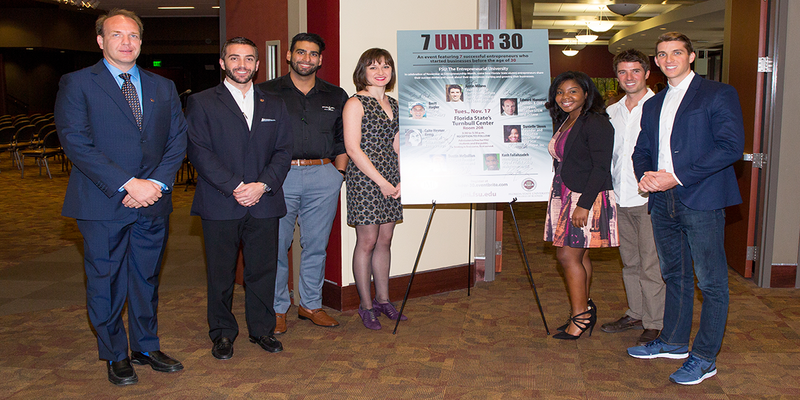 View the 2016 7 Under 30 news release and the video.